A derivative of the Scout D intended to meet an Admiralty specification for a two-seat fighter, the S.2A had side-by-side seating and was intended to be armed with a single 7.7mm Lewis gun. In the event, it was rejected by the Admiralty in favour of the Sopwith 1/2 Strutter, but work continued on the two prototypes at the request of the War Office which envisaged the type as potential an advanced trainer for the RFC. 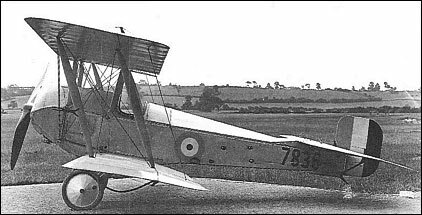 The two prototypes were completed in May and June 1916 respectively, being powered by the 110hp Clerget engine (although one was later re-engined with a 100hp Gnome Monosoupape), and were delivered to the Central Flying School at Upavon. They were found to be manoeuvrable and fast, but no further development was undertaken.